Last Christmas Fingerlings were one of the must-have toys. With stores selling out as soon as the stock hit their shelves. With Christmas a distant memory you’d be forgiven for thinking that the love for Fingerlings would have died down, however, you’d be wrong. The love for Fingerlings is still very much alive and kicking for children up and down the country. 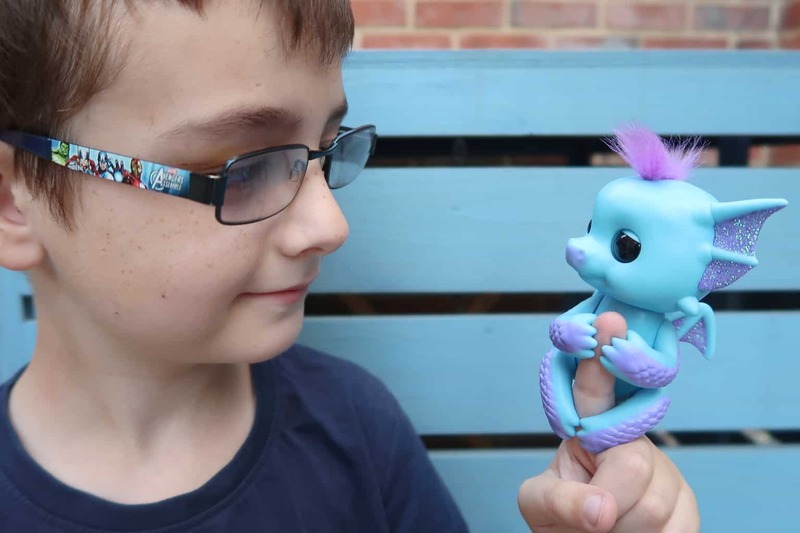 With the introduction of the Fingerlings Dino Untamed range and the latest offering of Fingerlings Baby Dragons. Their movements, sounds and adorable blinking eyes are sure to leave you under their mythical spell. Fingerlings Baby Dragons // What do they do? Tara, Noa, Sandy and Kaylin. Fingerlings Baby Dragons require 4x LR44 batteries which are included so that play can start as soon as you’ve unboxed them. With an on/off switch located on the back of their heads to switch off when not being played with. It’s worth noting that they will go to sleep after 5 minutes of inactivity, however, if moved accidentally they will reactivate which you don’t want happening in the middle of the night. The first wave of Fingerlings passed my children by, and they didn’t feature on their Christmas wish lists. However, with friends who had added them to their lists and subsequently were lucky enough to receive one have introduced Roo and Tigger to the craze. We have had the pleasure of adding the Fingerlings Baby Dragons Tara to our household. With Roo and Tigger enjoying interacting with her and perfecting the various skills that she can do. With her working her way into their hearts being taken on adventures around the house and garden. Even enjoying family movie time, cradled in one of the children’s hands. 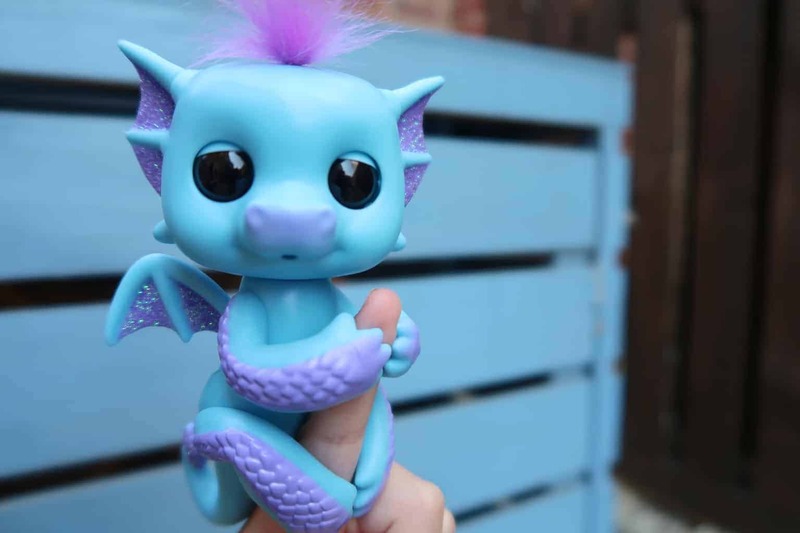 Fingerlings Baby Dragons // Where Can I Buy? 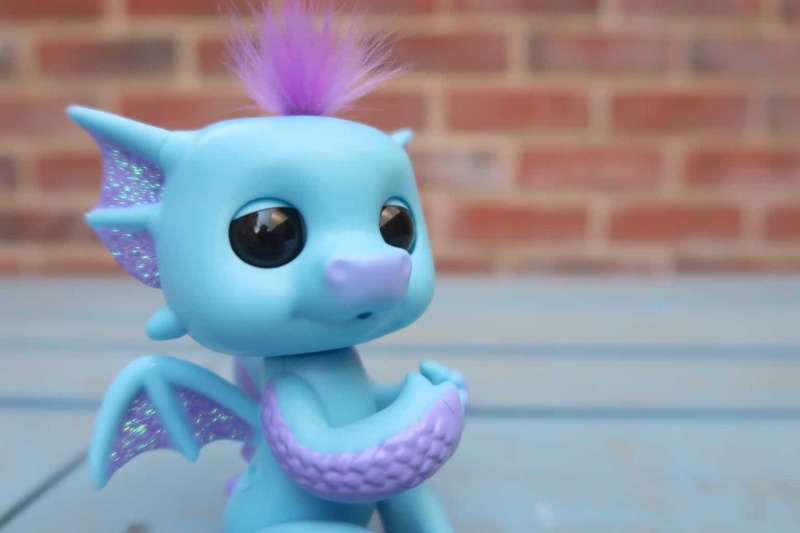 Fingerlings Baby Dragons are available to buy from Smyths Toys. With Fingerlings Baby Dragons Tara available exclusively at Smyths Toys. 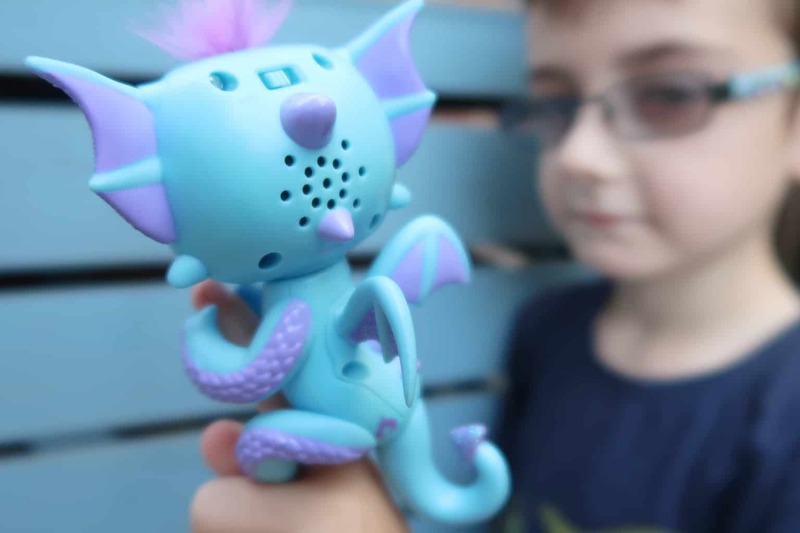 Boo Roo and Tigger Too are giving one reader the chance to welcome a Fingerlings Baby Dragon into their lives.